The original waas composed by Jeroen Kimmel/The Judges. Tony Reed (1985). Tyneside specialist, PopularComputingWeekly on December 25th 1985. Tony Reed (1986). 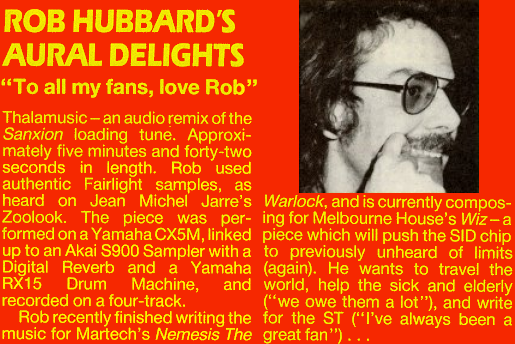 Profile – The Master Of Micro Music, Commodore Horizons magazine February 1986 edition. Interview with Neil Baldwin performed by SIDwave (2010), Recollection #3, Jazzcat.